Besides being the biggest department store I have ever seen, Galeries Lafayette is one of the biggest tourist attractions in Paris. Located off the famous Boulevard Haussmann, this grand store is a fashionista’s dream come true. Everything from Agnes B to Zadig & Voltaire, this place seriously has it all. My favorite time to go…Christmas! The massive tree in the middle and all the decorations just blow you away. All of the brands are separated nicely, making everything easy to find. As you walk in, your senses are swept away with the scent of Chanel as you walk past the beauty and accessories departments. The first through third floors are all women’s fashion, with a strategically placed Starbucks on the third. Floor four is beautifully displayed lingerie. The fifth floor is for children’s clothes and toys. The sixth is a great place for tourists with books and Paris souvenirs. 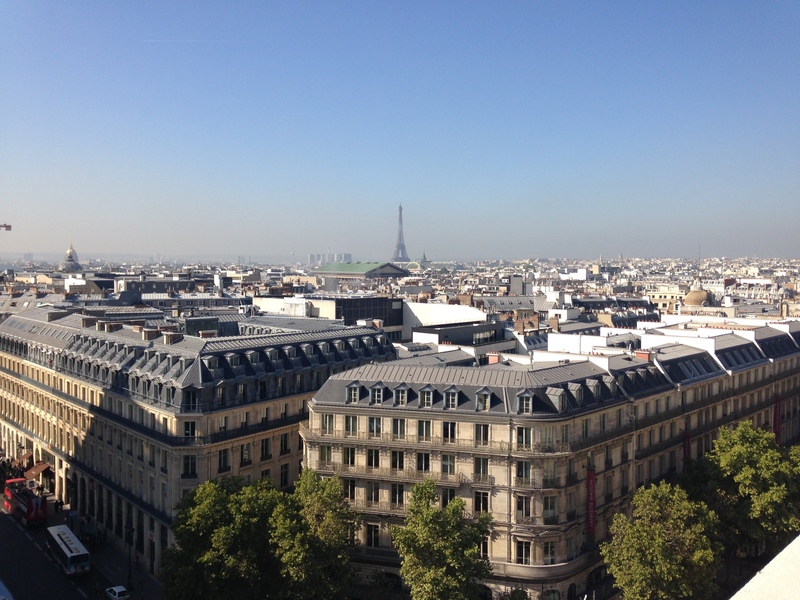 And finally you reach the terrace, one of the best views of Paris. The Rue des Rogues team had the pleasure of seeing the Christine Phung show here back in September, and the view was simply breathtaking. 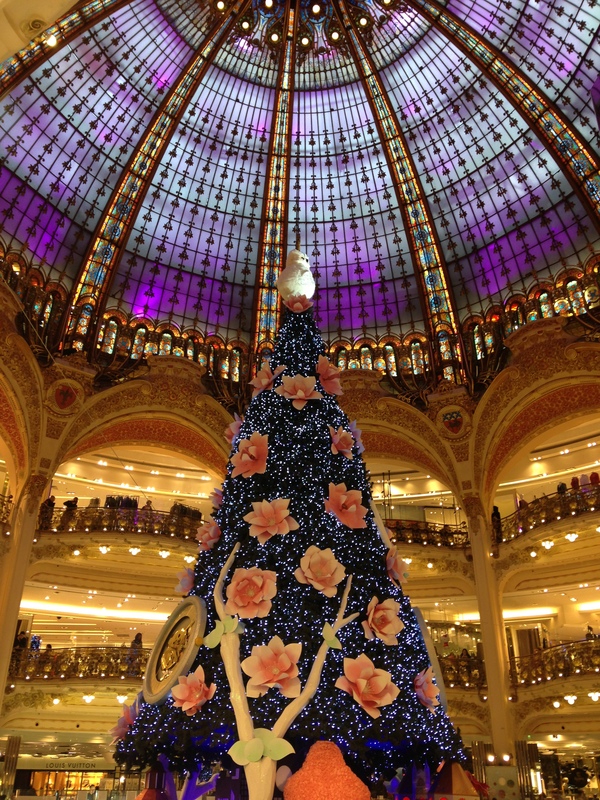 The Galeries is truly a place worth visiting, and we dare you to try to leave empty handed. With new brands and popup stores being added all the time, you can always find something you are looking for. Highly recommended for both tourists and fashion lovers alike!